A photo booth is a great way to get photos of all your guests. No more stiff line-up photos or awkward portraits! What you’ll see are your guests having a great time just being themselves! When we set up a photo booth at a wedding, we’re not just setting up a box in the corner of the room, we’re creating an exciting experience in which we have a real life photographer taking photos of your guests. We’ll bring all the necessary gear, including professional lighting and even props and costumes! With a real life person taking the photos, your guests will be pushed show off and really express themselves. All this equates to a ton of fun memories at your wedding. 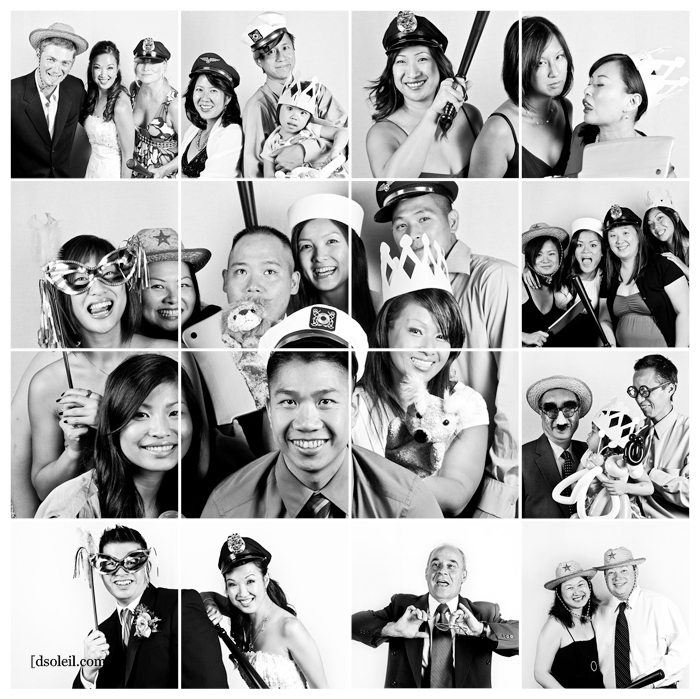 For more information on how to get a photo booth at your wedding, contact us today!